Private equity group Epiris‘s Fund II has acquired Time UK from US media group Meredith Corporation, a month after Meredith purchased the magazine publisher. The terms of transaction were not disclosed. Time UK’s portfolio encompasses more than 50 well-known brands, including NME, Country Life, What’s on TV, Woman’s Weekly and Wallpaper, and operates across multiple platforms – print, online, mobile, TV and experiences. The company is led by CEO and PPA Chairman Marcus Rich, who joined TIUK in 2014 from DMG Media. Sir Bernard Gray, who is Chairman of New Scientist and formerly Non-executive Director of Immediate Media and Chief of Defence Material at the Ministry of Defence, will become Executive Chairman. Times Internet Ltd, a subsidiary of media house Bennett Coleman and Co. Ltd, has acquired the spiritual content app House of God, which is run by Innertech Media Solutions Pvt. Ltd. The terms of the transaction were not disclosed. Innertech Media Solutions is a New Delhi-based startup, incorporated in 2017 and incubated at EROS Labs, which offers online religious media, product and services covering six different religions. Gautam Sinha, CEO of Times Internet, said, “Our user base has continuously asked for innovative products and services in the religious and spiritual interest category. Consistent to our strategy of catering to a mobile-first audience base in India, the House of God acquisition will extend our leadership in spiritual content experiences”. Yahoo Inc has acquired yet another app business, this time buying to-do app Astrid. Terms of the deal were not disclosed. The Astrid app is available on Android phones, Android tablets, iPhone, iPad, and the web. It enables users to sync their lists across all their devices with cloud backup. Astrid will continue to work as is for the next 90 days, but will no longer be taking new premium subscriptions. In the announcement on the Astrid blog, Astrid founder and CEO Jon Paris said that Yahoo! will be administering refunds to eligible users who have paid for annual subscriptions, Power-Pack and Locale Plugins. 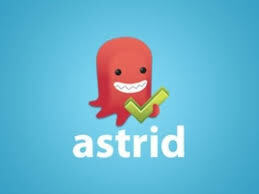 Astrid had raised $400K in seed finding in April 2012 from Google Ventures, Nexus Venture Partners, Jack Herrick and TMT Ventures. In March Yahoo acquired mobile news aggregator Summly for around $30 million. Zattikka plc, a social and casual internet games development and publishing business, has listed in AIM. The Company has completed a placing with institutional and other investors, raising approximately £12.6 million, with proceeds to be used to fund the acquisition of three online games companies and ongoing working capital. Zattikka is a newly-incorporated company, focused on developing and publishing interactive games entertainment products across internet connected platforms, through various media channels. These channels include PC web browsers, social networks, mobile devices (including smartphones and tablets), connected consoles, and other emerging platforms including IP TVs and set top boxes. The acquisitions will provide Zattikka with products that can then be sold to end-customers in key European, US and Chinese markets, either directly through its own websites, or through third-party digital distribution channels or other new digital platforms. The vision for the Company is to become a large scale, diverse games publisher with products operating across growth digital platforms, and with a targeted geographic emphasis in Europe, the US and China. The Company proposes to achieve this by developing Zattikka through strategic acquisitions and accelerating on-going organic growth.